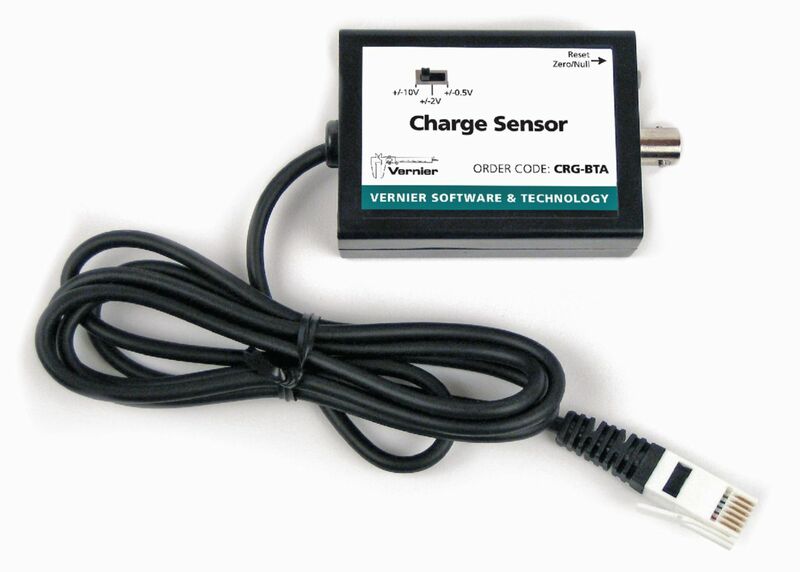 Unlike a traditional electroscope, this charge sensor can make quantitative measurements. Numerical measurements improve many electrostatics experiments such as charging by induction, charging by friction, and charging by contact. The sensor can also be used to measure charge polarity. Ranges: ±0.5 V (± 5 nC), ± 2 V (±20 nC), ± 10 V (±97 nC). Typical bias current = 0.005pA. Input Capacitance: 0.01 μF.